On Friday 7 October 2016, a motion was brought forward in the Canadian Parliament for the recognition of the sovereign nation of Somaliland. A delegation of Somaliland politicians and representatives was present during the session. Although no decision has yet come from the Canadian Parliament, the initiative is welcomed in Somaliland as a historic and promising step forward. Despite being independent for 25 years and having a stable elected government, Somaliland still struggles to obtain international recognition - which would greatly help the country’s economic and political security. Friday 7 October 2016 was another momentous day in the history of Somaliland. 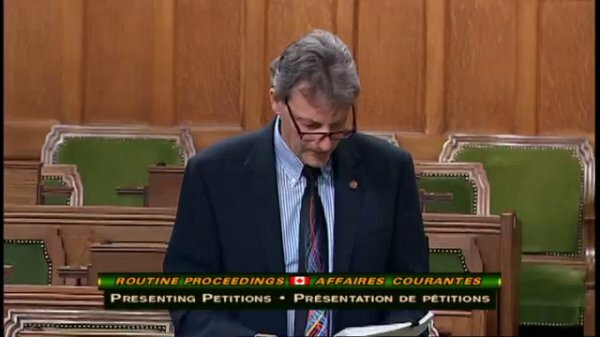 On Friday, in the Canadian Parliament, a sitting member of the Canadian Parliament brought forth a motion for the Parliament to consider recognizing Somaliland as a sovereign nation. This was truly a moment in Somaliland’s history. Sitting in the gallery of the Chamber of Parliament was a strong Somaliland presence witnessing a piece of history which was quite moving. The Somaliland delegation was headed by Mr Ahmed Abdi Dheere, the Vice-Chairman of the Kulmiye Party accompanied by the Right Honorable Mr Mohamed Ali Hersi “Obama”, member of the Somaliland parliament, along with the North American chapter of Kulmiye, Mr Mustafa Abdi Artan and members of Somaliland’s opposition Parties, Wadani and UCID, including Ahmed Abdirahman Gadhyare. As we sat in the gallery we observed the motions being debated with the ruling party of Canada’s ministers responding to queries from the opposition. The motion on Somaliland was put forward by Right Hon. Jon Mackay of Scarborough Guildwood. The motion Mr Mackay tabled would be answered by Canadian Foreign Minister, Stephane Dion. It will then be moved to committee to deliberate its merit. If the motion meets all parliamentary criteria, it will then be opened for debate in the parliament. Two members of the Somaliland delegation Abdirahman Abokor Dheere and Mohamud Osman should rightly be praised for their industry, perseverance and the long hours they worked in order to get this project up and running. In particular, Mohamud Osman, must be commended for this persistent lobbying in the political corridors of Ottawa. Congratulations to all Somalilanders and to everyone involved in another notch in the nation's continuing success.